“His performances, both technically and musically are of a very high standard. He has a suburb ability to bring out of the instrument, a sound that is divinely warm and beautiful. Iakov Zats was born in Moscow and attended the prestigious Central Music School there, after which he entered the Moscow Tchaikovsky Conservatory, where he graduated in viola performance with distinction under G. Odinez, and completed his doctorate in string quartet vith N. Zabavnikov. In 1990 he began his performance career which led him to perform as a soloist and in chamber groups in Russia, England, France, Germany, Italy and the United States. In 1994, Zats left Russia and settled in Italy where he began playing regularly as a guest soloist in concert seasons with various orchestras including Cantelli di Milano, Sinfonica Siciliana di Palermo, Orchestra Dell’Arena di Verona, among others. Open to all genres of music, he has played as principal violist under the baton of some great European conductors including Riccardo Muti, Georges Prêtre, Carlo Maria Giulini, and in various orchestras including the Moscow Soloists, Orchestra Sinfonica G. Verdi di Milano, and Orchestra Filarmonica Toscanini di Parma. In 2001 Claudio Abbado invited him to play in the Mahler Chamber Orchestra. In 2011 he was principal violist for two concert tours with the London Philharmonic Orchestra conducted by Vladimir Jurowski. In 2006, Zats revised an edition of Eugène Ysaÿe’s cello sonata opus 28, for viola, published by White Prince Edition. This sonata has become notably one of the most virtuosic pieces of viola repertoire. Furthermore, for the same publisher, he revised a edition of Three Romances opus 94 by Robert Schumann for piano and viola, which he presented at Kingsplace in London. 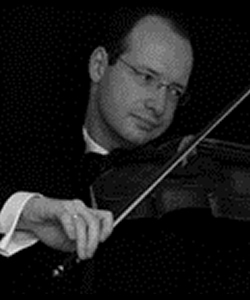 From 2006 Zats has played principal viola of Orchestra Dell’Arena di Verona. Iakov Zats currently holds the position of professor of Viola at Conservatorio Nicolini di Piacenza and he is regularly invited to conduct masterclasses in Italy, Spain, the Czech Reppublic, and Croatia.